With authentic, unique pieces of art and furniture, low prices and a personalized approach, we aim to make shopping with us at Santa Fe Terra a one-of-a-kind, inclusive experience where you take a little piece of Texas home with you. We import and create unique pieces of Western, Rustic and Hacienda-Style Art and Furnishings to meet all your needs. From the kitchen to the living room and everywhere in between, we will bring that perfect, unique touch of Texas to your home. Whether you’re an experienced decorator, enthusiast, or just looking to bring your home to life with that special something, we can help you find what you’re looking for. Visit our showroom today or contact us to talk with us about any of the items featured on our site or discuss your specific needs. 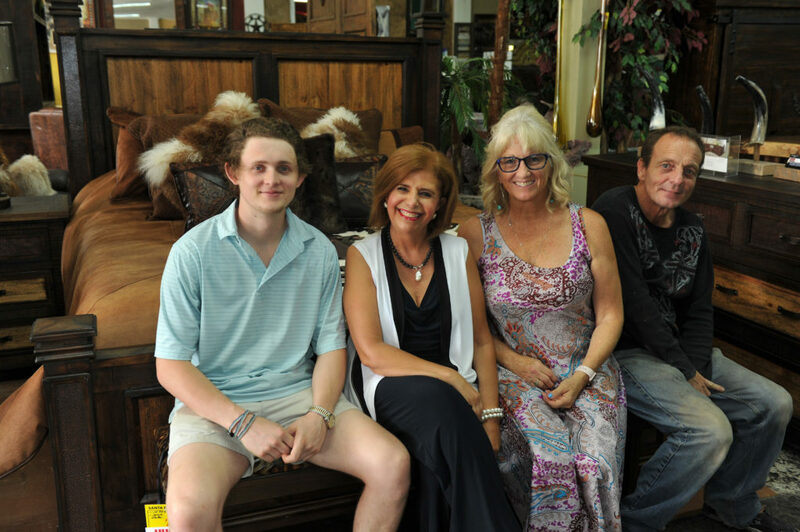 Our staff will help you choose from a variety of western influenced tables, bedroom sets, sofas and sectionals to pick the one that’s right for you! We treat each customer who walks through our doors as an individual. We want to hear about your home and your needs when it comes to furniture and décor. We can help you out in picking the pieces you feel will work in your home. At Santa Fe Terra we hope our pieces will be in a prominent position within your home for many years to come. This is where we find our satisfaction. We support local causes and local businesses, including the Weatherford Christian School. Lisa Marie Graves Founder at MLJS Legacy stopped by our showroom and this is the live video. "Say hello to Bernardette Abed a Corporate Partner with the Women's Legacy Conference. Her beautiful western furniture will be used to stage the stage..."